Are you enjoying the football? You aren’t the only ones! News broke that there could be a beer shortage (a crisis in our minds!) as demand is so high. Harry Kane’s last minute winner might be held responsible for this. The World Cup isn’t just about the football, it brings the world together and what is the best way to share culture? Beer! 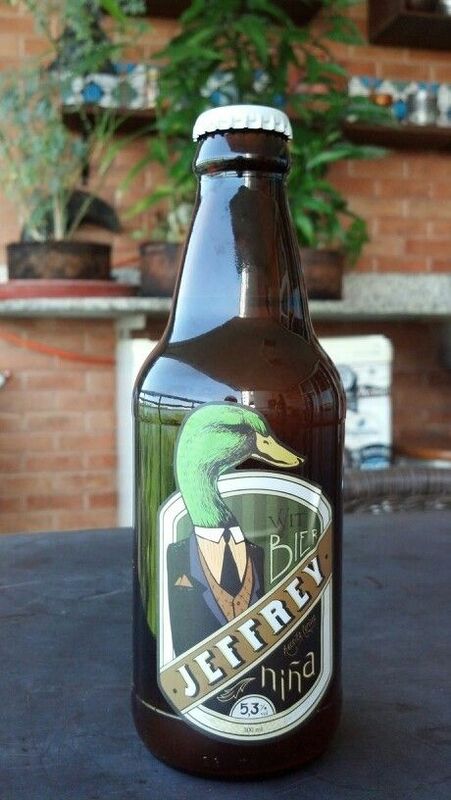 With Brazil being tournament favourites we thought we’d check in to the Brazil craft beer scene. Brazil might best be associated with diversity, colour, carnivals, cocktails and Latino culture but it’s climate and resources offer the opportunity to brew vibrant beers, best enjoyed cold on warm, humid days. Brazil craft beer has had a growth spurt, these days it’s widely available throughout the country from supermarkets to ‘hipster bars’ (yep, there’s hipsters in Brazil too!) and restaurants, offering Brazilians many opportunities to grab a decent beer, brewed with skill. There’s several key breweries that are currently favoured in Brazil, inspired by Europe and America. The European influence can be traced back to the 1800s when German immigrants brought their beer craving with them. 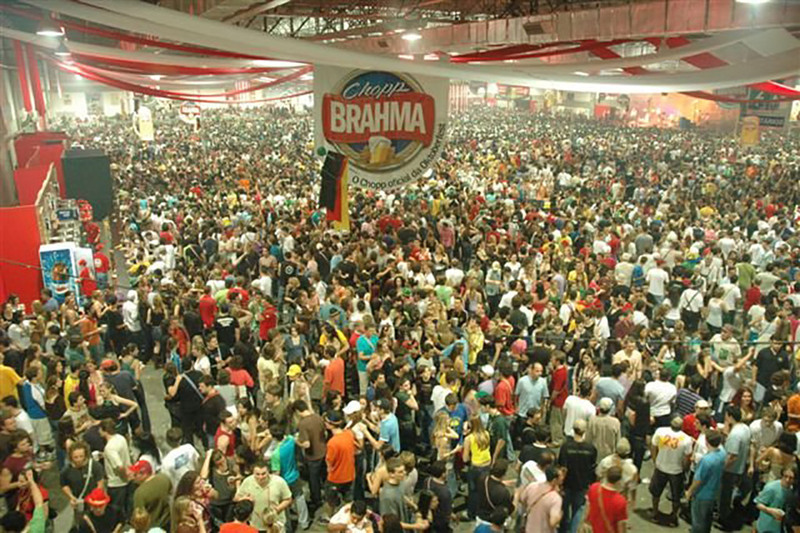 This continues today, Brazil’s Oktoberfest is one of the biggest in the world, lasting 18 days, attracting 730,000, proving Brazilians, love beer as much as their carnivals! There’s plenty of other beer festivals that happen in the country which are highly attended. Although South American beers are yet to have a major impact on the craft beer market, that could be changing thanks to unique ingredients and palettes which have woken up interest from the likes of Brooklyn Brewery and Mikkeller. Due to the hot weather, hops are hard to come-by and importing can be expensive making brewers think more creatively. Dia da Cerveja Imura is an event that produces some of the most diverse beers in the world as no yeast, hops or water are allowed! What makes the taste unique is that many breweries are ageing beers in barrels previously used for tropical spirits. The wealth of natural ingredients can be found in many pints including Amazon Beer, who use passion fruits and coffee can be tasted in Cervejaria Colorado’s iconic Demoiselle. 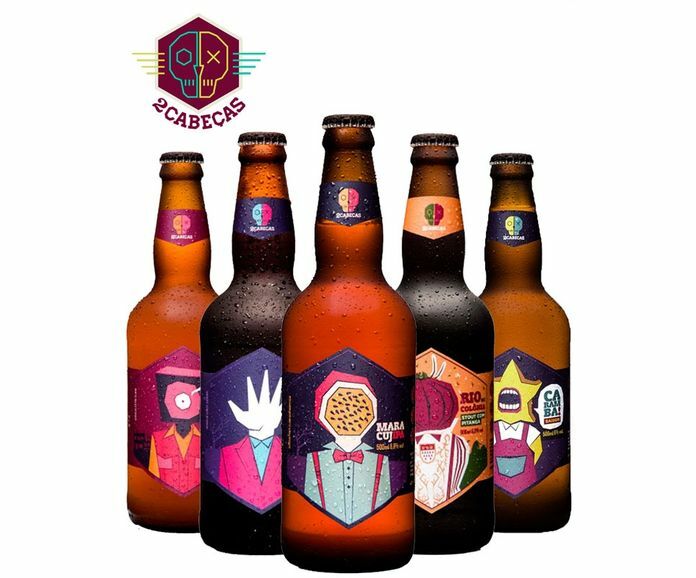 2cabecas are the brewery you’d hope for in Brazil, their passionfruit IPA and Funk IPA have that tropical taste, from one mouthful you are ready to party. 4 years might not seem long but in craft beer times it can be like a lifetime and Hocus Pocus have become well established in South America with Belgian golden ale, Magic Trap and their American pale ales. Jeffrey, from Rio de Janeiro are on of the most recognisable breweries in the country, two of their most popular beers are influenced by Europe, Nina, brewed like a Belgian white beer and their Pilsen has a familiarity to Germany. 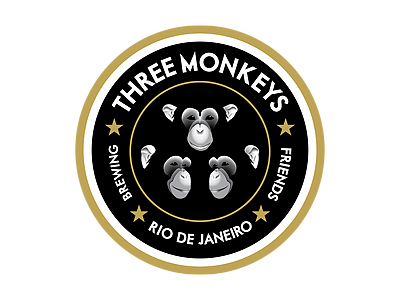 Three Monkeys, also from Rio offer something a little different with their popular Wit Vezpa, an Indian white beer. Sao Paulo is Brazil’s most cosmopolitan city and the heart of craft beer scene. Cervejaria Nacionak are one of the front runners thanks to their citrus Mula IPA, guaranteed to bring the party to life, coming in at 7.5%. The high-rollers in Sao Paulo clearly love their stronger beers as Cervejaria Invicta’s popular imperial stout will leave you buzzing at 10.8%! Growth in sales and the number of Brazilian craft breweries is growing 40% year-on-year. Who knew the Brazil craft beer scene was as vibrant as their party spirits? 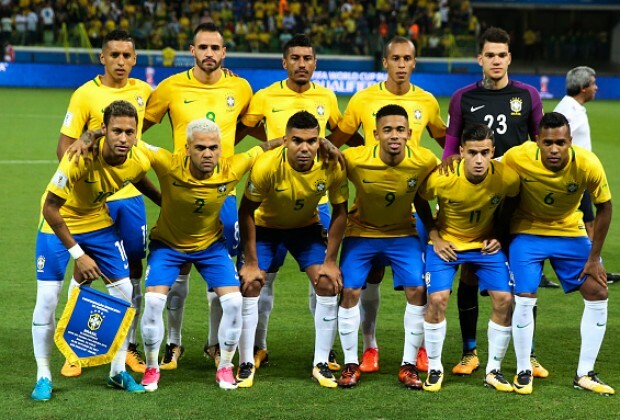 It’s probably the reason Neymar is always falling over! There’s plenty of football left, it’s best watched with a beer in the hand, our bottle shop at Ecclesall Ale Club is fully stocked with beers from around the world. The sun is out, finally! It’s felt like an eternity. We’ve battled through dark days, darker nights and snow but, fingers crossed we might be able to pack the coats, scarfs and gloves away, well, for a couple of months anyway. It’s time to grab your sunnies, shorts and enjoy Sheffield, the outdoor city. Everything looks better in the sun, especially Sheffield, our city. It can be a bleak place in the winter. The weather is probably one of the reasons why we love beer so much. We need it to get through the cold months, then when the sun does make an appearance it becomes ‘beer garden weather’. There’s always an excuse for a pint in the outdoor city. The city really comes to life in the summertime and it deserves to be explored. Whether you like culture or adventures, you won’t be bored in the outdoor city. The alternative guide to enjoying Sheffield in the sun. Music, food, drink, art we’ve got it all going on here. From community street parties such as Sharrow Vale Market to Sheffield Food Festival in the centre, free events that celebrate the city. Then of course there’s Tramlines, the music festival, now in its 10th year, it has grown out of it’s inner-city home to Hillsborough Park headlined by Stereophonics, Noel Gallagher’s High Flying Birds and Craig David’s TS5. If you don’t fancy venturing to Hillsborough there will be plenty of fringe events going on in the city centre too. It’s not just Hillsborough that has a park worth a visit, we’ve got over 200 parks and public gardens, one of the main reasons Sheffield is the outdoor city. Endcliffe Park and the Botanical Gardens are a brief walk from the Ale Club whilst the Peace Gardens is a place to chill in the city centre. Graves Park offers an opportunity to see some animals or play pitch and putt. We’re the 6th greenest city in the UK! If you fancy a short road trip visit the Peak District. ‘It’s beer garden weather’ is probably the most used phrase when we get a glimpse of sun. We’re well prepared for this with some incredible beer gardens all around from The Brothers Arms in Heeley which boasts amazing views of the city to the roof top bar at Krynkl in Kelham Island. The Lescar in Sharrow Vale is peaceful in the afternoon and The Rutland Arms in the centre is always great. Thought skiing was only for snowing mountains? Nope. Sheffield makes use of one the many hills with its ski village. It’s safe to say that it’s had a turbulent past. It’s kind of ironic that it closed down after being destroyed by a fire, but it’s rising like a phoenix in the flames. After being shut for a few years they have finally had investment to reopen in 2019. We’re not only the ‘outdoor city’, we’ve become cycle city since the Ofo yellow bikes landed. Who’d have thought they would have been so successful, especially for a city with so many hills but they are taking over and cycling is the best way to explore. Summer doesn’t last long, enjoy it with a cold pint in the outdoor city. For more information on The Outdoor City visit their website. Ecclesall Road might get all the attention but, behind it is Sharrow Vale Road where you’ll find something different. Especially at Christmas. You know what you are going to get on Ecclesall Road and there’s something for everybody. On the other hand, Sharrow Vale Road boasts independent boho vibes. Like Ecclesall Road, there’s food, drinks, homeware etc but on a small, unique scale. Sharrow Vale has a community and every few months, on a Sunday, they come together, close the road off and have a market. Craft and farmers markets are generally pretty similar and when something becomes repetitive, people get bored and stop coming. Sharrow Vale Road market isn’t like that. Every time it attracts a huge crowd who stroll up and down, enjoying everything on offer from fresh meat to street food, handmade crafts and accessories as well as entertainment. It can be thirsty work but don’t worry, we’ve got you covered! Not only do we have our Brew Foundation pumps serving a collection of our finest beers we also have gift boxes, perfect for Christmas. Don’t forget our Ale Club is around the corner and open from 11:30am to 11pm. Sundays don’t need to be lazy when you can get drunk whilst shopping for unique prezzies.